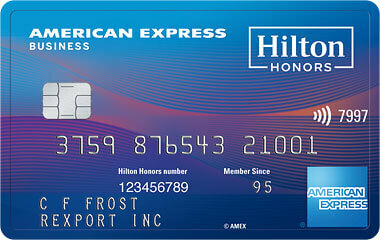 Home Credit Cards Are Major Changes Coming To American Express Consumer Card Bonuses? Are Major Changes Coming To American Express Consumer Card Bonuses? -DDF user shmebeble was the first to report being told that effective May 1st you will only be able to earn a signup bonus from an American Express card if you have never had it in the past. –DDF user Drago then learned from their Twitter reps that starting May 1 there will be new ‘acquisition incentive control rules’. –DDF user Redbull3 then confirmed with their chat agents that something is in the works as well. I jumped onto the American Express chat to learn more. I asked about the exact language for the new ‘acquisition incentive control rules’. Effective for consumer card applications on May 1st, acquisition incentive control will be declined if the Card Member has ever had the same card and cancelled it. We no longer limit the timeline to look back 12 months. You may be wondering why we are doing it. I know it’s a great loss to people who genuinely take advantage of it. Of recent though, we have seen some misuse of it. I.E. people getting Cards, spending the required spend limit, and then canceling. In the meantime, we are trying to work on something else. To see if we can offset it. No eta as of yet. For example, if a Cardmember has been with us for a while and does not have a history of hit and run, so to say (I’m using my own language), then that requirement may be relaxed. I can’t guarantee that will be one of them. But it’s a possibility. Basically, yes. Now, that’s not to say that won’t change or that exceptions can’t be made. Let me provide you the details. 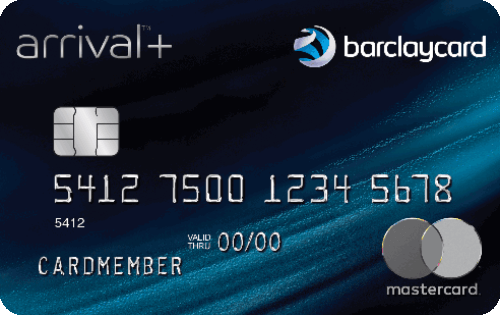 Accounts opened before April 30, 2014 – bonus will be declined if the Card Member: Has the same Card or Cancelled the same Card in the last 12 months. Account opened on or after May 1, 2014 – bonus will be declined if the Card Member: Has the same Card or cancelled the same Card. All of the above is only for consumer cards. I got conflicting information about business cards about whether this is eventually coming, whether the status quo remains, or whether it might even get easier to get a business card bonus, so I’m not going to speculate on what’s going on there…#Developing! So there you have it. At this point nothing is 100% confirmed and we won’t really know anything for a few more months to see if this will be enforced. But we have confirmations from phone reps, Twitter reps, and chat agents that changes are likely coming. 55 Comments On "Are Major Changes Coming To American Express Consumer Card Bonuses?" Are charge cards excluded at the end of the post on purpose? Are they exempt? No, this will supposedly effect consumer credit and charge cards. And a friend working at amex said they are hurting because chase has such generous bonuses. She thought the bonuses at amex would get better. Go figure. Dangettttt!!! This, if happens could make things like earning SPG points a lot harder. I usually keep cards open for 1-2 years too. Gonna be watching that Personal Gold card sign up bonus now. Need it one more time before these dumb rules go into play. Could they do this on the business cards if one person has a few different businesses ? I am confused when u say bonuses. If i have a card since may 2013 and never canceled i can get a bonus? Will get now the points and 12 months agin ? I was thinking about getting my first SPG cards (business and personal) im guessing that now is the time to do it correct? Amex wants to be able to offer signup bonuses that are the best out there are but are afraid of the serial churners who will just swipe and dump. So what it seems that will do is offer much higher signup bonuses, for example 100k offers but restrict who can have them. The 1 year restriction did not work too well so they are making it a lifetime. But what happens if someone had the SPG 2 years ago and stopped using it so he cancelled it and now he has the blue card now, but amex wants to get him onto a annual fee card so in that case they will allow him to get the bonus. Perhaps as a targeted offer. So I think we should be expecting to see very lucrative signup bonuses coming our way. All we need is another mint deal and we good to go. Dan do you think chase will follow soon after ? @chase: Doubt it, they just shut people down. That is all they do. You have been identified as a current American Express Card Member. You may have seen an offer advertised for this product previously, but the offer is not available to current American Express Card Members. In Chrome hold down Ctrl, Shift, and N and the same time. In IE and Firefox hold down Ctrl, Shift, and P buttons on your keyboard. If I am an AU on my Father’s SPG for >1 year, (he got sign up bonus, not I) do I quickly sign up <5/1 or I'm not primary cardholder so I am still entitled to once in a lifetime? Gonna be all about manufactured spend now. I don’t see big public bonuses coming out anytime soon. Probably just the targeted snail mail offers they do now. You are still entitles to your bonus whenever you apply. have gold delta, never had platnium. read that if you had gold, cant get BM of platnium. is that correct? besides, delta miles are not appetizing now. in fact, very much not appetizing. Years ago Amex used to do the same thing by limiting card members to one signup bonus per card per lifetime. However, if you had previously cancelled the card and in the future reapplied under a bonus promotion they would award the difference between the new bonus promotion and the initial bonus promotion. So for instance if you originally signed up for the SPG card with a 10K signup bonus and then several years later applied under a 25K offer you would receive a bonus of 15K (25K-10K=15K). I wonder if this is the model they will use going forward. Otherwise, people who signed up during the days of less generous signup promotions will no longer receive any incentive to reacquire an AMEX card. If we identify you as currently having an American ExpressÂ® Card account, you may not be eligible for this welcome bonus offer. This offer is also not available to applicants who have or have had this product. 1 If you are identified as a current American ExpressÂ® Card Member, you may not be eligible for this welcome bonus offer. 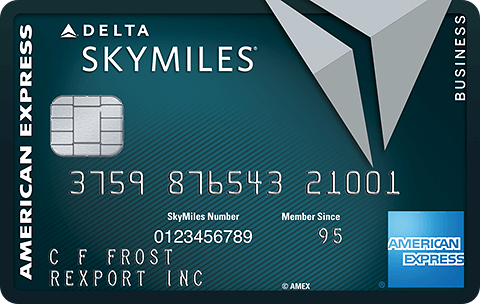 This offer is also not available to applicants who have had this product within the last 12 months or any other Consumer Delta SkyMilesÂ® Credit Card account within the last 90 days. just to clarify – if i have a starwood card open now (the only one i’ve ever had), there is nothing i can do to take advantage before this takes effect, because i would have had to have closed the card 12 months ago, right? ie, if i close it now and apply again, i wouldn’t be eligible for the bonus regardless of this new policy, right? My experience is that Amex limited me to having a max of 4 *credit* cards (not charge cards), including both personal and business cards, at any point in time. Hey, so I have a SPG card and would like to take advantage and get a new bonus. How do I go about this? what if i downgrade to a no fee card? then i’m not in either catagory of “currently have the card or canceled the card” ? Thanks for all this info, Dan! I’m thinking about how we all should strategize with AMEX. Right now I have SPG Personal and Business and an AMEX Business that I took from Gold to Plat and now Green. I also had a Personal Gold card that I cancelled in december. I’m thinking of applying for the MB Plat pretty soon, once 3 months pass from when I cancelled the Personal Gold. Do you think I can still do this? Also, if I cancel the SPGs before May 1st, will I be able to apply for them again in a year or two, or will I be ineligible for the bonus no matter when I cancel them? If you haven’t had them before, there have been easier to reach spend thresholds and even a 30k bonus in the past. This is to stop people waiting a year and re-applying for the same card. If points by re-applying for the same credit cards (Churning). m when you opened it or when you closed it? Dan – I need to move over 150k amex points to an airline. Any idea when the next avios (or other airline) bonus deal will be? Thanks! Not surprising that this is happening. I imagine that other credit card companies will follow. Dan, that’s you and all of us here on Dansdeals. 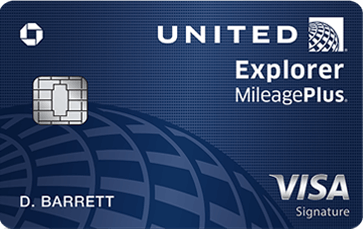 Its only a matter of time that the credit card companies find it unprofitable to continue to give these cards to us. I am actually surprised it has taken this long. I got an AmEx Platinum with a 100K targeted bonus. I didn’t take the 50K for the gold card but was considering calling to see if they will still honor it. Never had an SPG (new to the game!). Do you think I should wait on an SPG because the bonus will go up beyond the 25K currently offered? SPG has at least twice had a 30k bonus (same spending $5k spend requirements as the 25k bonus) for a short time last late summer and/or early fall (2013) and I think the previous time was also at the same time of year (of 2012). I had been waiting for years to get an SPG card and jumped on this most recent 30k offer when I heard about it. I find it hard to believe they are going to keep all your info for 10 years. They have to purge the records at some point. It would just be easier to hold giving you the bonus till after you have had the card 6 to 12 months or simply charge a few/fine for cancelling early. My husband is an authorized user on my personal SPG account. In October, 2013 he finally applied for SPG under his name (after reading an AU can apply for the same card under his name and qualifies for the bonus). He spent $5000 in less than 90 days and I never saw additional 15,000 pts posted to his account, just 10,000. I called 3 times and was given different reason & time to wait…1 mos, 3 days and one week. Initially, it was using the wrong link for he had to make a new application due to typo error in entering his social security no. The 2nd call said the original app was still open, so it will be closed and should take 72 hrs to post add’l bonus miles of 15,000. One week past, so I called the 3rd time and was told they would investigate to make sure he’s not a previous card holder of SPG (I never mentioned he was an AU on my acct). It’s been more than 3 weeks and still have not heard from them. At this point I have given up! i have been told by an AMEX rep that for the Platnium card they will be adding a $500 airline refund good for spending on AA & USair airlines similar and in addition to the $200 per calendar year airline credit, to offset the loss of Admirals club lounges. it has been added to my account to be used after March 22.
are amex cards still eligible for $200 annual airline reimbursement? the thing we did with buying 2 $100 gift cards and getting credit for it i mean? Anyone know how long I really have to wait before signing for a new SPG card after I cancelled my last one? people think they could abuse the system and no one will be hurt from it!!!!! why???? Clearly the last sentence above is new. This seems to be showing up on Gold, Delta, Starwoods, etc. personal cards, and even on the website from referral links (even though some referrals I sent a few weeks ago specifically had only the “last 12 months” in the T&C of the e-mail!). That’s always been there. Just browse incognito. I wish american express will start to lose money and that person who enforced THE NEW BONUS MILE rule will lose his job. Dan I have a bluesky from americn express and I have about 80 thousand points on it what can I use it for travel should I upgrade this card to something else so the points will be more valuable?